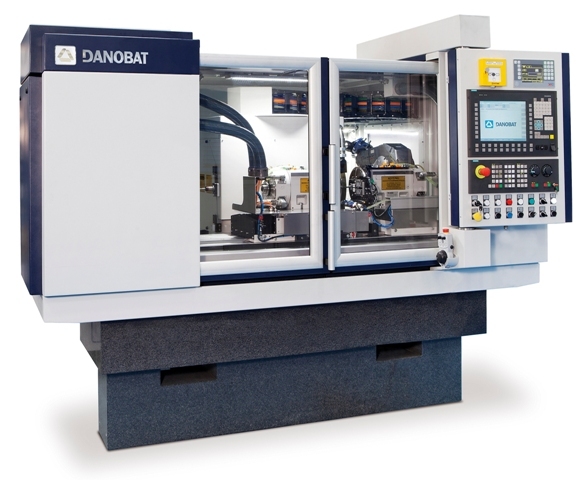 Among its many other characteristics, the DANOBAT LG-1000 horizontal external and internal grinding machine has linear motor technology and direct transmission in rotating shafts for grinding cutting tools, ultra-precision parts for the hydraulic industry and parts for the automotive sector, among others. Its natural granite bed and the linear motors provide the necessary precision and thermal stability required by these demanding applications. It is also the ideal solution for grinding non-cylindrical components. The use of water cooled electric spindles permits combining conventional and high speed grinding. Thus, a maximum peripheral Wheel speed of 120 m/s can be reached, covering the range required for grinding conventional abrasive 860 m/s) or super abrasives with maximum torque. The SORALUCE FMT multitasking machine is one of the exponents of the new SORALUCE generation that combine ergonomics, safety and high production levels. This is a large sized multitasking centre that integrates full capacity and functionality in turning operations, which, together with its high power and torque in one universal milling-turning head, permits machining very complex parts in one single setup. This saves machining time and generates greater profitability for the user, both in serial production and in unit production. This machine solution has an innovative design based on a flexible and totally customizable work area according to the customer’s needs. This permits choosing between one or several work areas and the incorporation of additional rotary or fixed tables. The machine has a built-in complete splash guard that allows great accessibility, thanks to its automatic door opening with full frontal and upper access to the work area, also satisfying the chip and cutting fluid collection function. In order to offer the operator greater visibility it has large glass surfaces. Ease of operation, safety and cleanliness in a splash guard that can be completed with a fume extraction system. The SORALUCE FMT on display also has an automatic tool-changer with 150 tools. The SORALUCE FMT multitask centre incorporates the innovative DAS (Dynamics Active Stabiliser) System, pending patent. The DAS technology, which is going to cause a revolution in the machine-tool sector, has given rise to a device that is able to actively increase the dynamic rigidity of the machine, increasing cutting capacity by up to 300%, thanks to the reduction of the chatter risk during machining. The system increases general cutting capacity, it improves the surface finish quality, and reduces the risk of breaking tools, increasing tool life under extreme conditions. The system has been tested in all types of machining processes, such as press heads, polar parts of motors or moulds, and in all of them, its use has produced a reduction of up to 45% in tested machining times. The DAS system has just received the European Quality Innovation of the Year 2015 and Best of Industry 2015 awards.